Go into any health shop and many supermarkets and one thing that you will see for sale are Chia seeds. Sold as an amazing healthy food stuff, they are packed with fatty acids, and are really effective antioxidants. 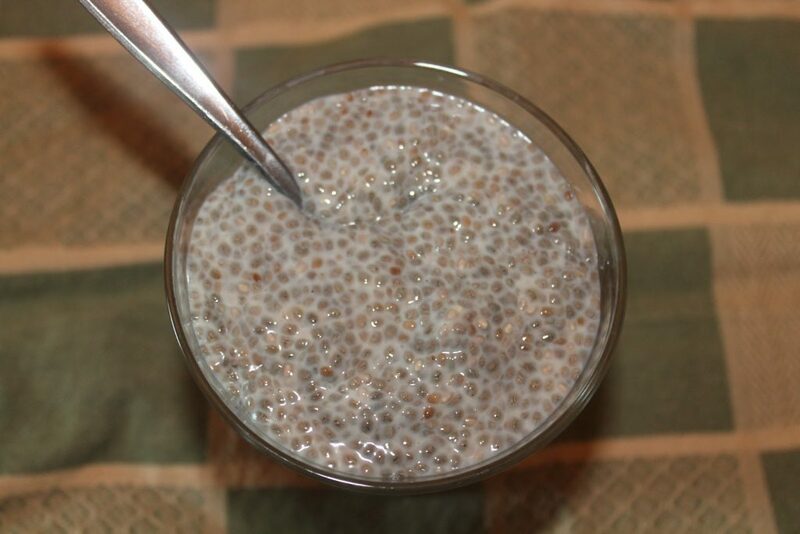 Aztec warriors used to believe that taking a mere tablespoon of Chia seeds would provide them with all the energy that they needed to last all day long during fierce battles. Chia seeds have been credited with many health benefits including the maintaining of heart health, reducing diabetes, boosting strength, improving bone density, helping to promote good digestion and also helping to slow the ageing process. 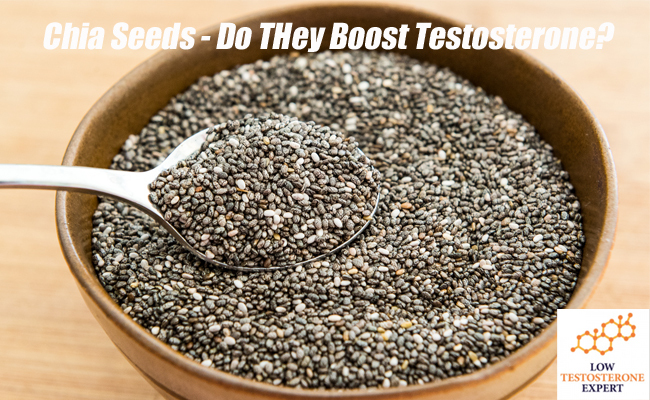 There are thoughts that Chia seeds can help to boost testosterone production – In this article I check it out, look at scientific studies and try to determine just how effective it could be. Iodine is actually a rather underrated mineral, and science has confirmed that having optimum levels in your body is crucial to good testosterone levels. Magnesium and Zinc are both proven testosterone boosting minerals, together with Vitamin B6 they form the ever popular and many would say essential ZMA combination found in many T-boosters. Chia also contains plant compounds including Quercetin and Kaempferol. Kaempferol is proven to protect against inflammation, guard against estrogen build up and help ensure cellular health. Found in certain foodstuffs including vegetables and fruits such as grapes, strawberries, blackberries, along with cabbage, broccoli, kale, spinach, beans and onions. Quercetin is thought to help reduce the effects of an enzyme called UGT2B17 which converts testosterone into a molecule known as testosterone glucuronide. Experts tell us that just 2 tablespoons of Chia seeds deliver 9 grams of total fat, including 1 gram of saturated fat, and 4.9 grams of omega 3 fatty acids. That is more than found in Salmon. Fatty acids do offer a lot of health benefits which help to increase testosterone levels. Its effects include reducing inflammation, reducing both bad LDL Cholesterol and triglycerides and boosting levels of good HDL Cholesterol. Chia is exceptionally high in fibre – which is good news for 97% of Americans who are thought to be lacking in fiber. Fiber helps to combat insulin resistance, a precursor to diabetes type 2 which if allowed to develop also reduces testosterone production from the Leydig cells in the testes. Our body is made up of approximately 60% water, as such if hydration is not kept at its optimum levels, it can have a drastic effect on our ability to function, both physically, mentally and at hormonal level. Studies have shown that hydration can cause the body to increase production of the stress hormone Cortisol. Often referred to as the testosterone killer, it has been proven that increased cortisol levels will reduce testosterone levels dramatically. The same can be said for Growth Hormone, another key androgen hormone that plays a pivotal part in our ability to grow and build muscle mass. Going on from this fact, testosterone increases the effect of growth hormone to make something called Insulin-like growth factor 1 (IGF-1) which itself is anabolic in its own right. This means that lack of hydration can actually hurt your hormone production 3 ways with decreased testosterone, growth hormone and IGF-1 . Chia seeds are actually quite remarkable in the fact that they can absorb and hold up to 10x their weight in water. Just drop a spoonful of seeds into a glass of water and watch the water disappear. There is a recipe for a pre-workout drink known as Chia Fresca where a tablespoon of chia seeds are soaked in a glass of water along with fresh lime juice for 15 minutes before being consumed. Users tell us that it really does provide more energy and helps them to power through workouts harder and for longer, I tried it myself just the other day and it takes a little getting used to, but I can confirm that it really does work. We know that inflammation can reduce the Leydig cells ability to produce testosterone. And we also know that Chia seeds contain more Inflammation reducing Omega 3 than the finest salmon. But it doesn’t end there, alongside the Omega 3, is the massive level of antioxidants found in these tiny seeds that also work to reduce inflammation and repair cellular damage. A recent clinical study concluded that Chia seeds inhibited 68.83% of all free radicals (toxins) found in the body. These have never been on my radar in the past, but since doing the research for this article I have recognised just how effective and beneficial they are, and not just for our testosterone levels, but also our overall health and well being. If you really do not fancy trying Chia seeds, then you can make a huge difference to your testosterone production by choosing and taking a good natural testosterone supplement. From the thousands of products out there, I have shortlisted a number of supplements that based on my intensive research and trials all provide guaranteed results with none of the side effects commonly linked to other drug based treatments and anabolic steroids. Pomegranates : Effective Testosterone Booster?